The Rural Urban Synthesis Society (RUSS) is a CLT with the aim of creating sustainable community-led neighbourhoods with affordable housing. The ambitious Church Grove scheme of 33 homes offers self-build opportunities for local people. Founding chair, Kareem Dayes drew on his experience of growing up on Walters Way and living in Sanford Co-op, to gather a community of supporters and raise funds to incorporate a Community Benefit Society in 2009. They built membership, giving anyone the opportunity to become a member of RUSS by buying a £1 share which gives them a vote on the decision making board. Individuals can buy more shares but do not receive more votes. RUSS have an active membership of over 800 members, running education and outreach programmes. The level of organisation has also grown significantly, hiring consultants and employing staff, while continuing to be volunteer-run and maintaining open member meetings. The group became aware of a vacant site, which had previously been used as a special needs primary school, at Church Grove in 2013 and asked the Council to consider a community-led self-build project. The Council eventually sought a non-profit community-led development partner through an OJEU process which prioritised proposals for their affordability and approach to community involvement. RUSS Community Land Trust (CLT) were selected to enter into a development agreement and 250 year lease in 2016. This arrangement gives the council certainty that the scheme is legally bound to delivering these social outcomes, which gave confidence to take less than best consideration for the site thereby allowing homes to be significantly cheaper than others in the area, whilst their affordability will be protected in perpetuity by the Trust. RUSS received an early stage grant from the GLA to develop their proposals and hire consultants. RUSS worked with Triodos Corporate Finance to set out a viable budget and cash flow forecast. Loan finance from social investors will pay for the construction of the homes and after completion, will be repaid by the residents entering shared equity homes via mortgages they secure. A long-term loan will be required to cover the remainder which will be paid for by the income generated by the properties for rent. Resident assessments are carried out by the Parity Trust, a charity who helps people on low incomes into home ownership. They assess proposed residents’ needs with their ability to raise a deposit and ensure they can sustain mortgage repayments or rent along with bills, service charges and council tax. A guiding principle for the organisation is that residents should be involved in the design and construction of the project and create opportunities for project management and building training. After dealing with issues of contamination and flood risk, RUSS received planning permission in 2018 and the project at Church Grove is planned to start on site in 2019. 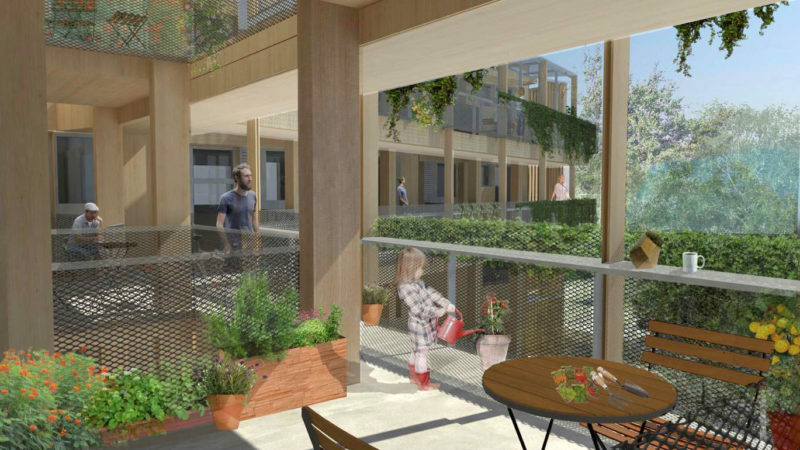 The scheme will include 33 homes which range from one to four bedroom properties as well as a community hall, office and kitchen to accommodate community meetings, performances and childcare. 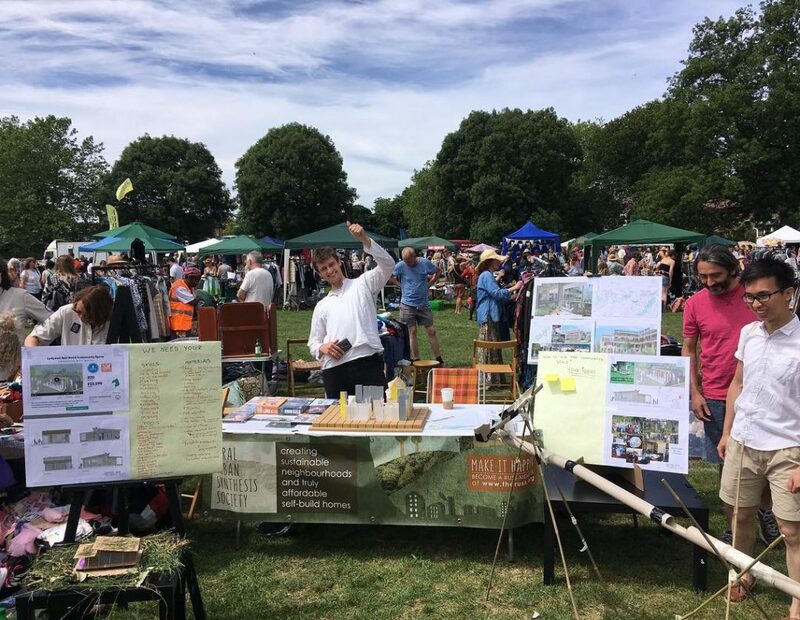 They recently crowdfunded for a self-build community space which will become a sustainable construction demonstration project. Once built, the RUSS School of Community Led Housing will run workshops to pass on their acquired knowledge to others looking to start their own community led housing projects.